Kate specialises in Chancery and Commercial work. She was awarded a Lord Denning Major Scholarship by Lincoln’s Inn and completed pupillage at St Johns Chambers, Bristol. Kate joined Magdalen Chambers as a tenant in November 2016. Kate’s practice is predominantly in the field of property law, with an emphasis on traditional chancery matters especially landlord and tenant, trusts, probate, Inheritance Act claims and TOLATA. She has a particular interest in problems relating to land registration, public and private rights of way, boundary disputes and adverse possession as well as riparian rights and land drainage issues. She is also experienced in cases involving commercial matters such as contractual disputes, business rate liability and insolvency. Kate has appeared in the Court of Appeal in the case of Shaw v. Grouby (2017) ECWA Civ 233, an appeal over a boundary and right of access dispute which has subsequently attracted interest on the issue of excessive judicial intervention. Although the appeal was not successful, the Court specifically reserved its decision on the part that Kate argued regarding remedies for trespass to land (on the interaction between Harrow v. Donohue and Lawrence v. Fen Tigers). Kate previously had a career as an academic. She was a Lecturer in Law at the University of Exeter for five years where she taught the key LLB subject areas of Land Law, Law of Torts, Commercial Law and English Legal System as well as more practically oriented modules in Advocacy and Negotiation. She also lectured on specialist modules in Forensic Speech and Language and Medical Ethics (at undergraduate level) and in European Consumer Protection and Advertising, EC Internal Market and Forensic Linguistics (at Masters level). Before becoming a lawyer Kate lectured in Linguistics at King’s College London and the New School, New York. Kate has published in both law and linguistics and has a particular interest in improving the accessibility of legal language. Her work on land registration and legal linguistic usage are highly regarded internationally in the field. She continues to lecture in her areas of expertise, mainly to firms of solicitors, law societies and specialist organisations. In particular, she has delivered seminars on adverse possession, land registration and legal language. Kate is qualified to undertake public access work in appropriate cases. Kate is a qualified mediator and trustee of the Society of Mediators. In recent years she has also tutored on mediation training courses at King’s College London. She is happy to accept instructions as a mediator or as counsel acting on behalf of clients in mediations in all areas of her practice. 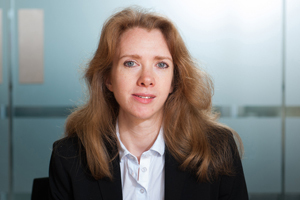 Kate is also experienced in litigation involving commercial matters such as contractual disputes, business rate liability and insolvency, and regularly provides advice and advocacy in these particular aspects of business law. She was previously a Lecturer in Law at Exeter University where she taught the key LLB subject areas of Land Law, Law of Torts, Commercial Law and English Legal System. Kate’s practice is predominantly in the field of property law, with an emphasis on traditional chancery matters especially landlord and tenant, trusts, probate, Inheritance Act claims and TOLATA. She has a particular interest in problems relating to land registration, public and private rights of way, boundary disputes and adverse possession as well as riparian rights and land drainage issues. Kate has appeared in the Court of Appeal in the case of Shaw v. Grouby  ECWA Civ 233, an appeal over a boundary and right of access dispute which has subsequently attracted interest on the issue of excessive judicial intervention. Although the appeal was not successful, the Court specifically reserved its decision on the part that Kate argued regarding remedies for trespass to land (on the interaction between Harrow v. Donohue and Lawrence v. Fen Tigers). LLB. 1st Class. University of Exeter (Awarded a Dean’s Commendation, the Stones Prize and the Paul Heim Prize). PhD in English Language and Linguistics. University of Surrey (Roehampton). Kate is an Accredited Mediator and a Trustee of the Society of Mediators. She also provides accredited mediation training and has delivered courses for students at King’s College London. ‘What is Money? Legal Language as Modern Day Alchemy’ in Mooney and Sifaki (eds) The Language of Money and Debt (2017) Palgrave Macmillan. pp. 283-309. ‘A Family Law Toolkit: Language in the Child Protection System’ Seen and Heard (2015) 25(3) 50-1. ‘Adjudication in a New Landscape’ King’s Law Journal (2013) 24: 316-42.